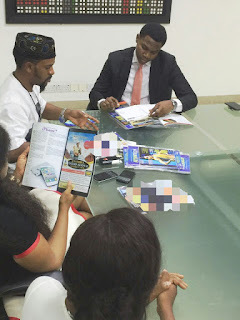 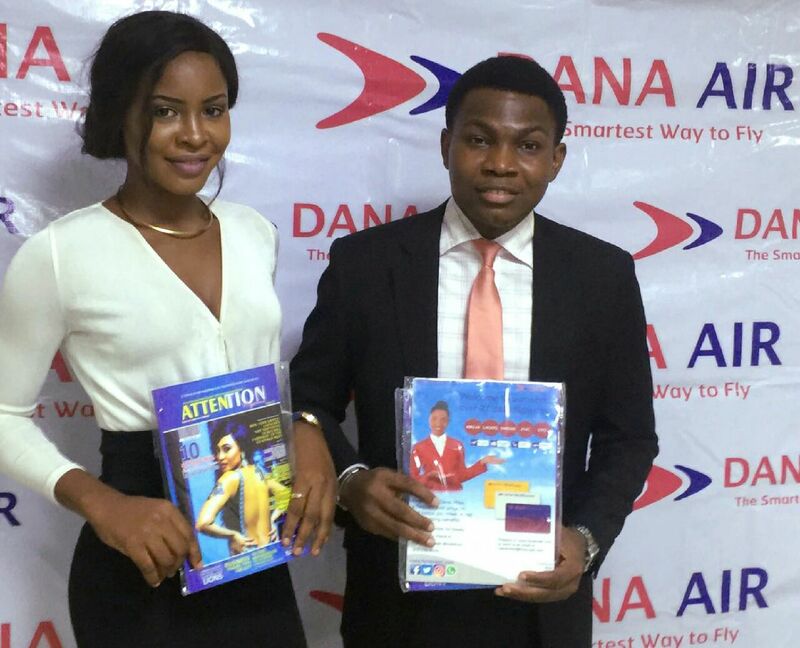 One of Nigeria's famous Aviation flight, Dana Airline are at advanced stage of confirming partnership with Attention Magazine following the reception at the Isolo head office earlier today. 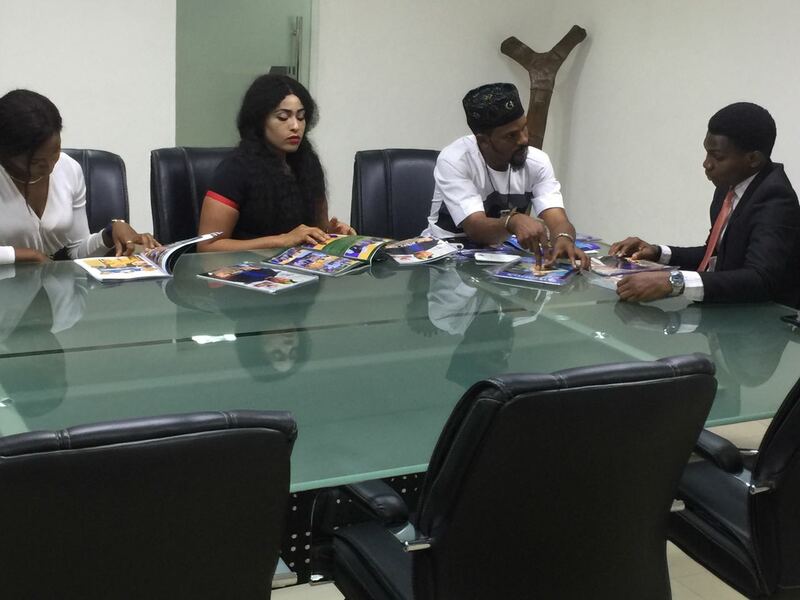 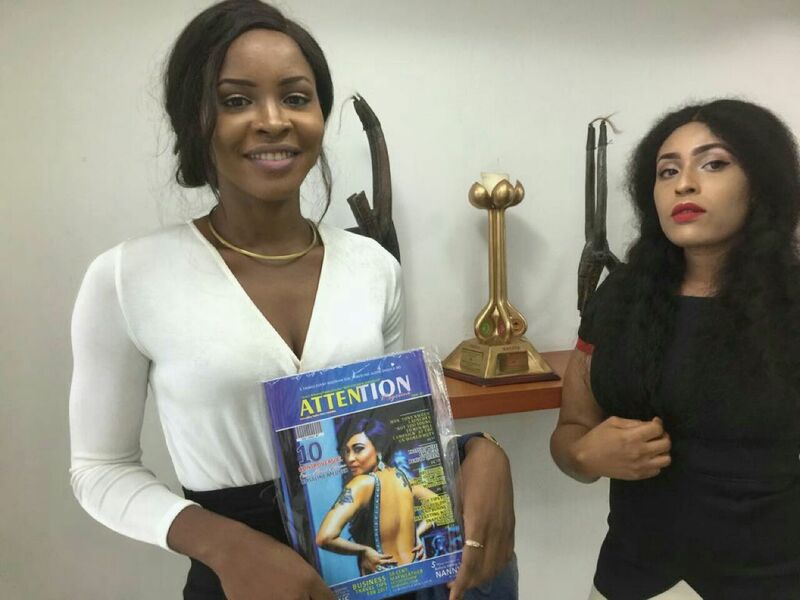 The March blue impression edition has the controversial fast rising actress Rosaline Meurer on the cover page. 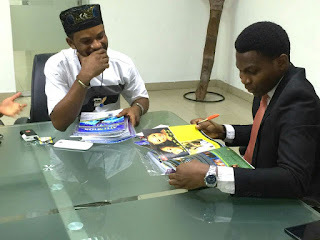 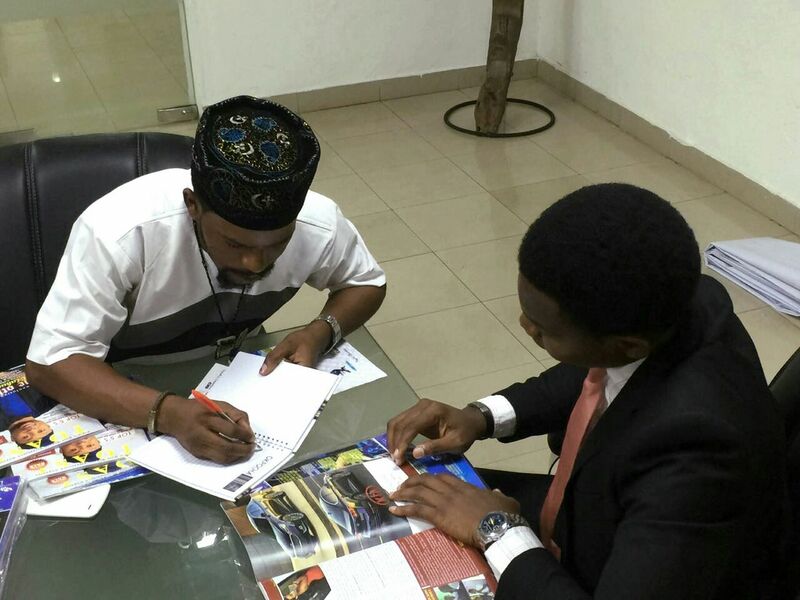 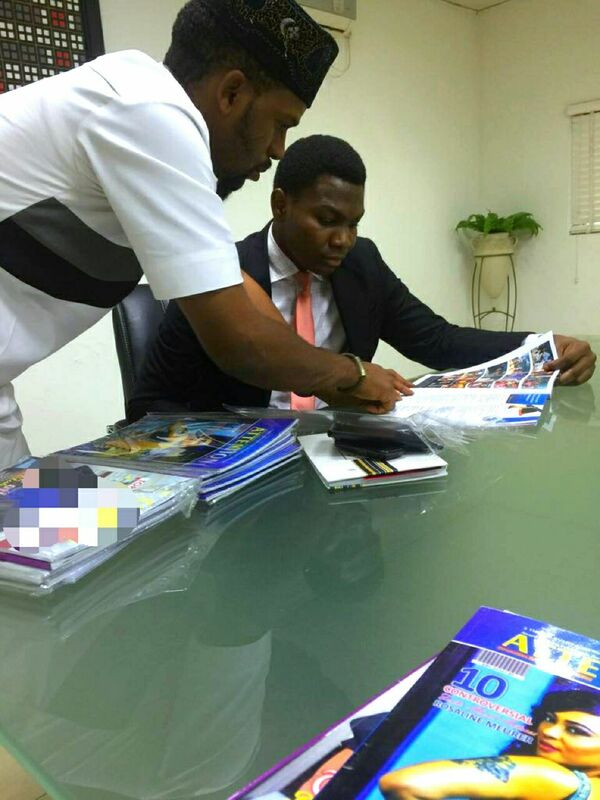 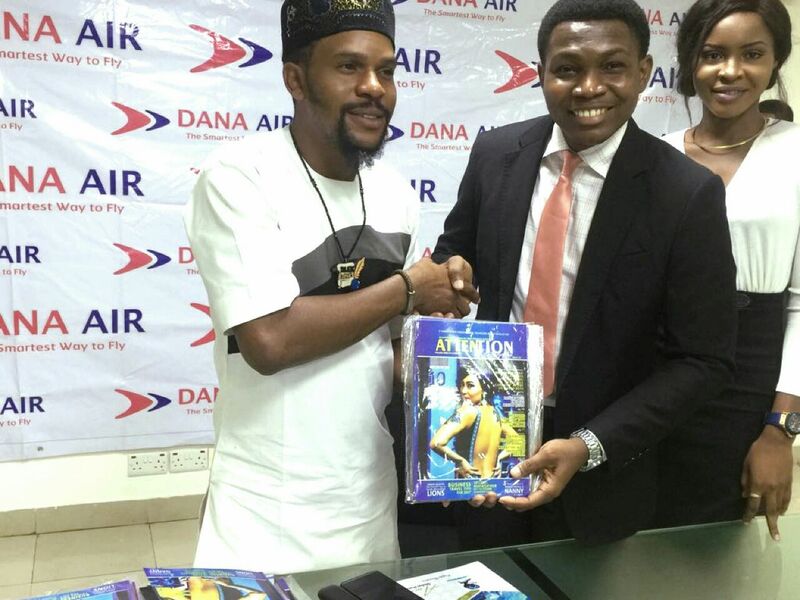 Receiving the initial copies for Dana Airline, ‎the Manager of Media and Communication, Mr Kingsley Ezenwa said he is impressed with the publication especially with regards to its quality and rich content. 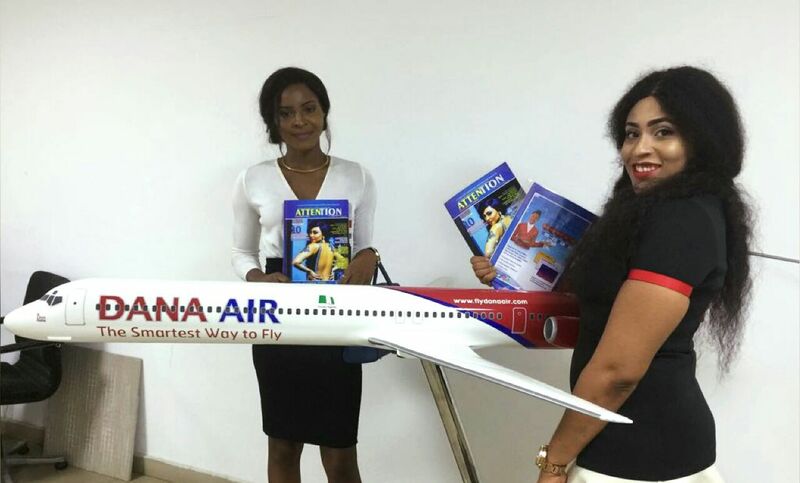 In his words " Attention Magazine is cool and will definitely hold our guests spellbound when they fly with us....Indeed an interesting magazine for a 45 minutes flights" The popular customerly friendly airline had full back page coverage and airlines safety campaign messages in this special edition. 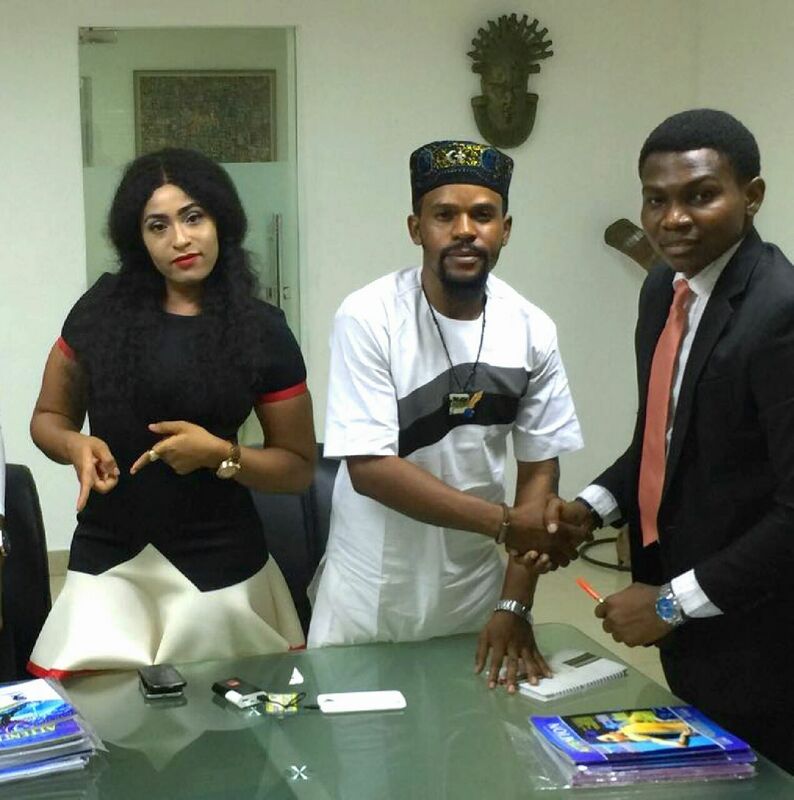 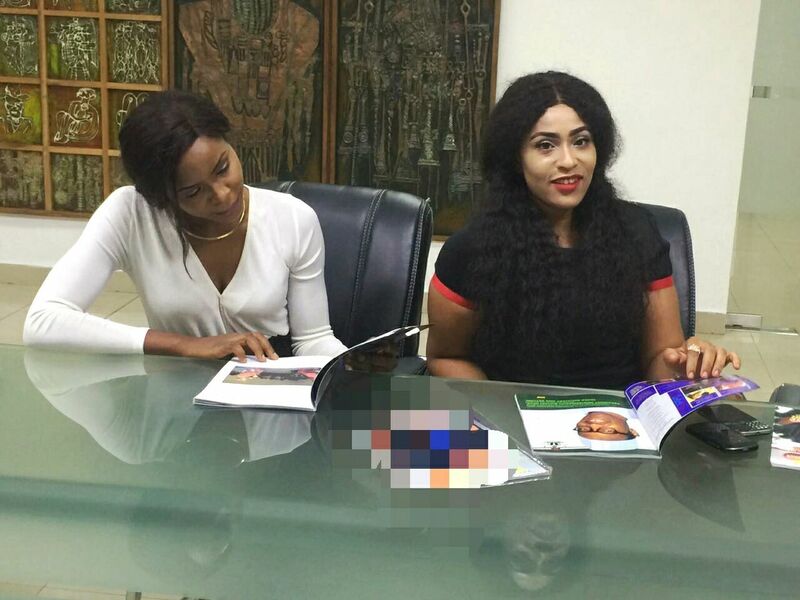 With the Publisher Alex Nwankwo at the presentation ‎were some of the editorial team, Nollywood actress Maureen Cyril and Crown & Glamour TV presenter - Ivy Cypriel. The all full glossy and eye- comfort magazine is expected to be on some of the Dana Airline flights to different state as well as othe traffick packed locations like Shopright, major Hotels, Embassies, Ministries etc.